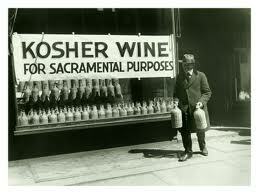 Kosher wine has come a long way, baby. I don’t mean that it has moved beyond Manischewitz to Merlot—that’s yesterday’s news. I’m talking about the kosher-wine market’s glorious expansion beyond the usual suspects—overly oaky Chardonnay and mediocre Merlot—to less-obvious wines of distinction and deliciousness from all over the world. I call such wines “Brave New Pours,” and below I recommend kosher versions that will have you drinking stylishly for the high holidays. You will start your Rosh Hashanah feast on a high note if you opt for Prosecco, which delivers bubbles and fun at half the price of Champagne. It may be not be as elegant as its French cousin, but this zesty Prosecco makes a fine aperitif or cuts through the richness of any tsimmes it encounters.